Do photographers’ represent danger? Not this one. It’s a common sight. 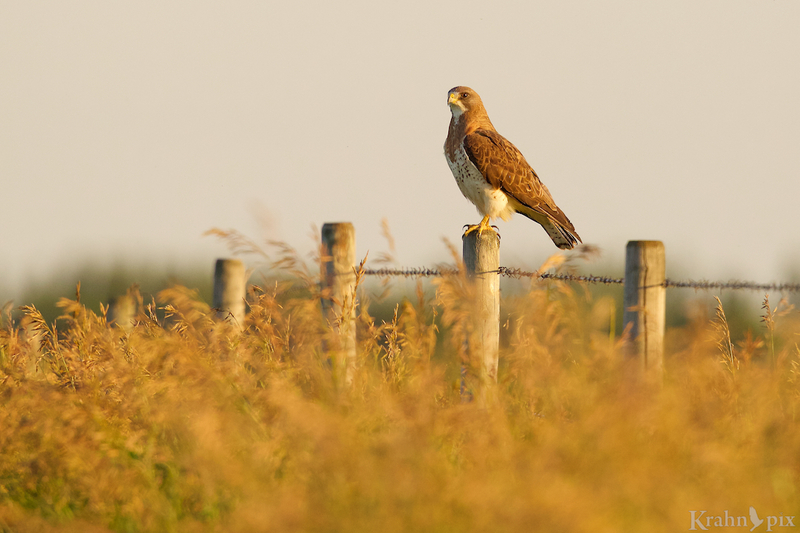 A hawk stands motionless on a post, piercing eyes scanning the territory like a sentinel on duty. Clearly there are dangers lurking on the prairies that we know not of. I am thankful for the protection. As summer gives way to winter, sentinels perform a changing of the guard without pomp or ceremony. 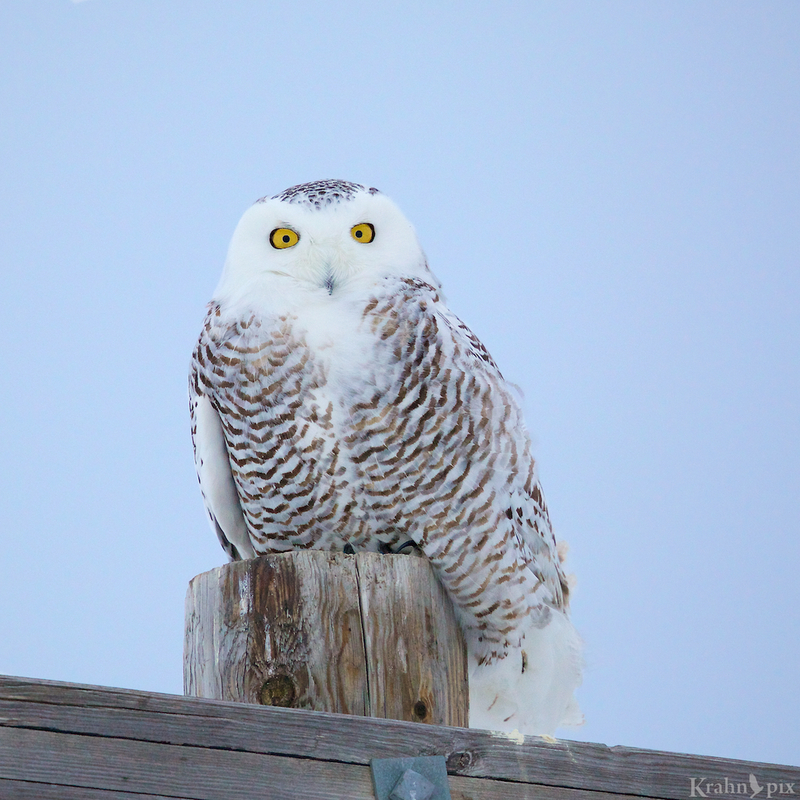 One day, snowy owls are on duty, peering with their big yellow eyes at the colder landscape. Each sentinel has its duty that it performs quietly and selflessly. Some days I don’t even notice that they are there. During a recent trip to northern California, I was surprised to find sentinel duty being performed by cormorants. I can only presume that a less fearsome guard means a less present danger. What dangers lie in California? Only the cormorant knows for sure. That snowy owl is incredibly stunning. Beautiful photos! Thanks for sharing your observations of the world, once again. Pigeons must mean it’s unbelievably safe! I’ve never seen a wild stork so that would be fun. I wonder what sort of impression they would leave. The snowy owl is one of my favourite creatures. I just never get tired of it. I like very much the photo of the hawk. I don’t see them so often and when that happens, they are always flying. To me, that snowy owl looks a bit scared. I have seen a lot of hawks and it’s still fun to find and photograph them. These sentinels are pretty regal birds…taking there jobs seriously and worthy of respect. Great captures. Yes there is a regalness to the position. If I ever doubt their passion a quick look to the eyes cures that! When I’m visiting my family on the prairie, I never see sentinel hawks or owls like this. You must have some sort of magical power to always find these guys and nail the photos. Once on a walking safari in Africa, we were told we were safe because there were baboons all around and they have sentential in the trees. If lions, hyenas, leopards or cheetahs come by, they all climb. It is good to have some one watching your back. It’s too bad you don’t see the prairie sentinels – perhaps they have figured out I need more protection! I’ve never been to Africa but I’m happy to hear they have sentinels there as well. My theory is that they are everywhere in some form. If there’s a poem in those prairie grasses, and I know there is, you’ll be the one to find it. I guess if you and I were hawks, we’d either be standing in the trees or figure out the appeal of the posts. Great observations. I have not seen our resident Great Horned Owl of late, and I am a bit worried about the old chap. The prolonged drought has sent many critters looking for food wherever they can find it. Pocket gophers seem to be managing, however, and I am sure they will be here at the End of the World when all else are gone, tunneling away. I hope that great horned owl is OK. I’m sure it adds a lot to your place while the gophers – not so much. Great captures! So strong and stoic. Stoic is a great word to describe them. They are some of my favourite creatures. That hawk shot is gorgeous. What type is it? Thanks. I believe it’s a Swainson’s hawk. I love the nonchalant way that you began your post, Lyle, with the words, “It’s a common sight. A hawk stands motionless on a post, piercing eyes scanning the territory like a sentinel on duty.” Wait a minute. A common sight? Not many of us can characterize an unobstructed view of a motionless hawk as common and even fewer of us have seen a Snowy Owl in real life. I can’t help but notice that all three birds seem to be perched on man-made posts. Is this really a post on posts? It really is a post on posts – and the stories they tell if only they could speak. I would prefer an all natural setting but that is where they naturally stand so I go with it. It’s interesting that an unobstructed view of a hawk is quite a common scene on the prairies here but one that is often taken for granted. What can be a challenge is getting close enough to get a good image. The snowy owls are far more rare and far more difficult to spot since they blend in so well. I love hawks. We have a couple that have made a home in the cell phone tower visible from our yard. When the are on patrol, it is a sight to behold. Their dialog is pretty interesting too. That wonderful effortless floating patrol. What must that feel like? This is a wonderful image, beautifully composed. I love the golden colors and textures. Thanks. Those golden colours got me including more of the environment than I normally would but who could resist? I just needed a sunset in the background for perfection. It was a great combination! Nice captures. The cormorant is my favorite with your choice of composition and the way you got him to pose. I’ve never seen one in real life but I’m guessing they’re not particularly good at taking direction. I didn’t have a good photo of a cormorant until this one so that makes it a bit more special. You’re right about the posing. After all my wild gestures and best soothing coaxing, I gave up and let it do what it wanted! I got this photo when we were coming back from whale watching and noticed the cormorant on the post and got off a few photos before my view was obstructed. Wait a minute, maybe the cormorant was getting me to pose. Hungry sentinels, I think. Nothing like hunger for motivation! I agree with that. There’s usually food involved somehow! I actually don’t watch it. Yes winter is coming. Most people here dread it but I don’t – a nice day for me is sunny and calm, the temperature is of less consequence. And I’m quite thankful for all the sentinel power – for reasons I don’t fully understand.